Vintage designs and patterns from a myriad of old books, magazines and other printed materials. 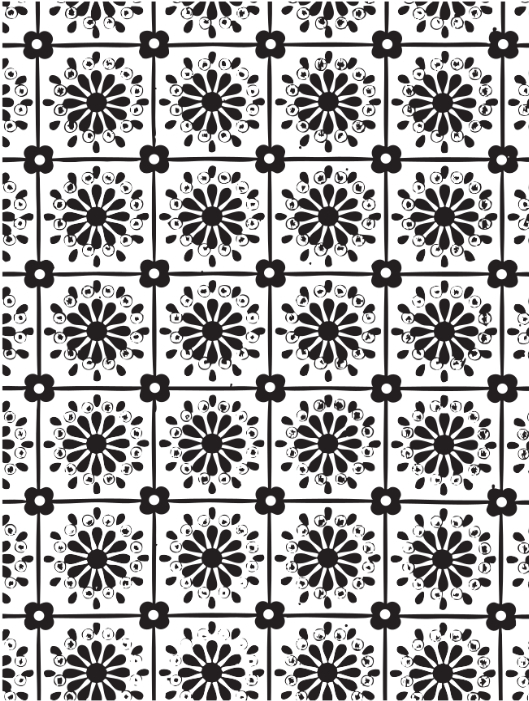 Black and white floral endpaper from a book about bookbinding. Hand-drawn repeated flowers in a trellis-like design. Vintage shelf vignette image that can be used as it was published in 1908 or as a shelf image with a hanging garland or just the button and flowers garland. Vintage floral border from a 1909 natural history magazine. 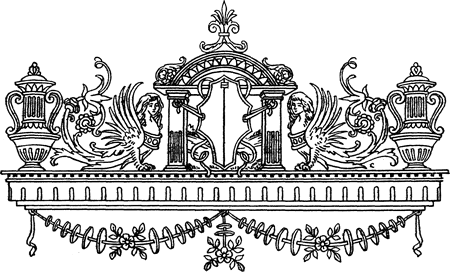 Public domain in the United States and shared free by FreeVintageArt.com. 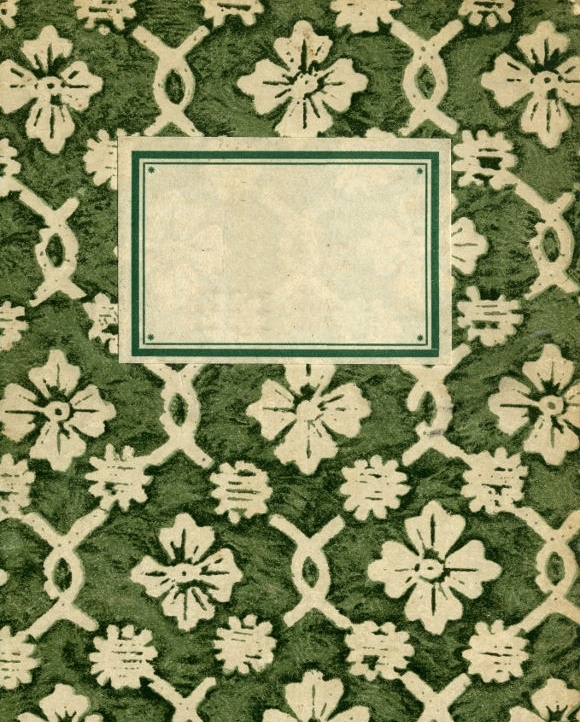 A strangely haunting background paper, this green faces endpaper is from an 1914 German drama. Vintage flowers and trellis endpaper from an 1857 German novel. I’ve done a little editing for you. Wouldn’t it make a great scrapbook or card image? Pretty art deco flowers create a page spacer image. 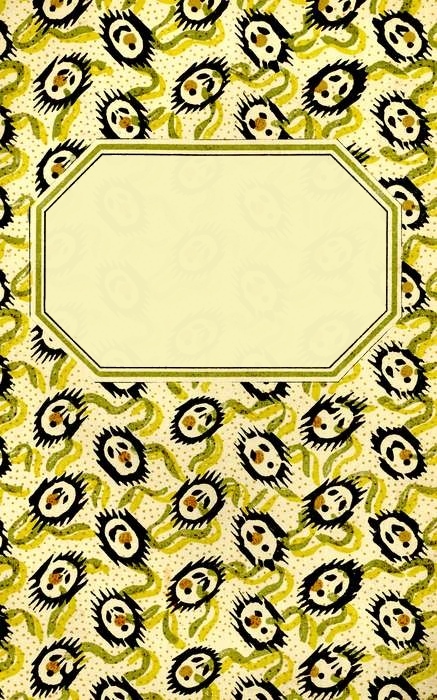 Found in a 1915 release, you can freely use the entire design or just the Egyptian-style lily flowers. Pink, green and black Chinese pattern featuring red accents. Great vintage border image. Free to download from FreeVintageArt.com. 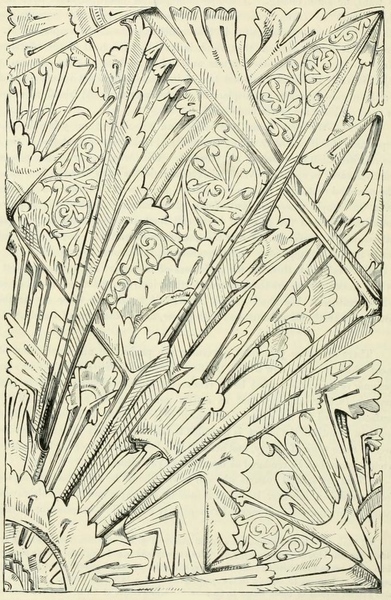 Vintage art piece from an 1870 book on decorative design. This Christopher Dresser design was the author’s way of depicting power, energy, force and vigor. Free Vintage Art showcases six American Indian Flowers that were used to decorate baskets. Great for doodles, embroidery or other creative works. 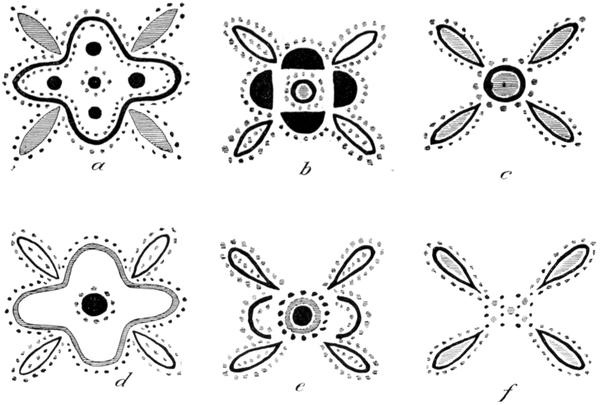 I did a search on Amazon for pattern graphics to get you started. Maybe you'll find that little something that will transform your current creative project into something spectacular.